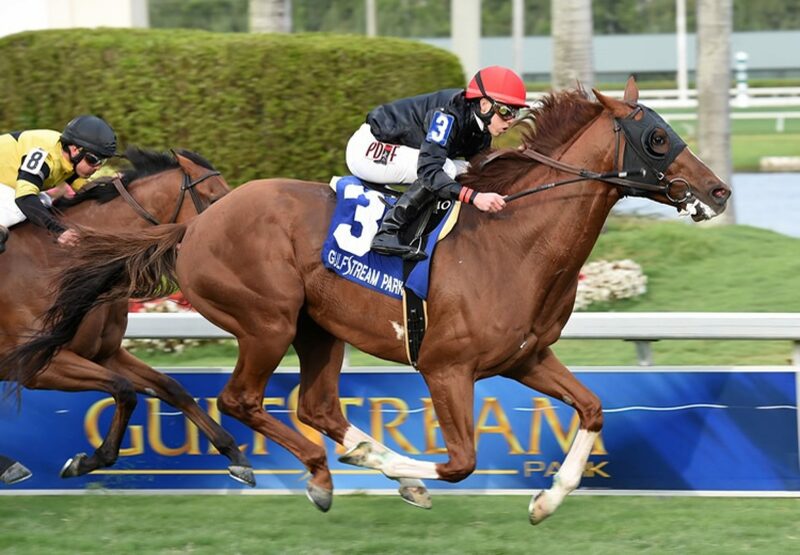 Evergreen stayer Imagining (7h Giant’s Causeway x Daydreaming, by AP Indy) landed another feature race win at the weekend when taking out the $150,000 Grade III Pan American Stakes at Gulfstream. A homebred for the Phipps stable prepared by Claude R McGaughey III, the son of champion sire Giant’s Causeway came from off the pace to win the mile and a half contest on turf by three-quarters of a length. “I’m very pleased,” said winning trainer Shug McGaughey. “I liked the way he got on his toes in the paddock today, and I thought Irad (Ortiz) rode a terrific race on him. I thought maybe if he broke good, he might be stalking the horse that was on the lead, but Twilight Eclipse and some of them wanted to go, so [Ortiz] just kind of got him and left him down in there--and then he swung him to the outside, and it was a great race from the 3/8-ths pole to the wire.” A Grade I winner last May, Imagining has the overall record of nine wins from 22 starts with prizemoney topping $1million. “Sometimes, when they get to be 7 years old, you get to wondering [if they are] still there, but he showed me today that he still was,” added McGaughey Imagining is one of three winners from Grade II winner Daydreaming, a sister to the dams of Grade I stars Super Saver and Bluegrass Cat.